Are you looking for some of the best barcoding software ? Whether you are going to start a new business or you want to improve your current organization business standards, you will definitely need a solution for tracking and managing your inventory. Using barcoding softwares, you can easily monitor your assets through each step of sales. For creating barcodes, special barcode label software’s are needed which can generate unique tags that are, recognized by scanners. These, easy to use software’s mentioned below will, surely make a big difference in how efficiently your particular organization work. A barcode label application will let you create basic barcodes for shipping, labels, products as well as other needs. Barcode label software for small businesses often creates barcodes in Microsoft applications such as Excel and word. 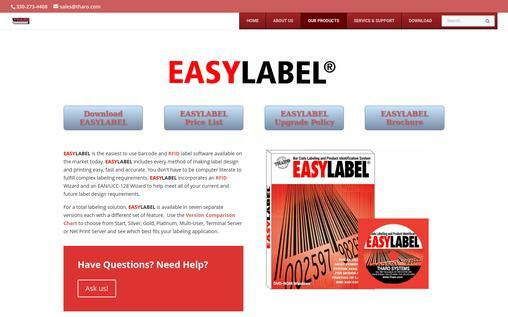 Easy Label is an easy to use barcode as well as RFID label software. It is available with every method of printing and making label design easy, fast, as well as accurate. For a total labelling solution, Easy Label is available in different versions each along with different set of features. Easy label will also help you to print your contact addresses along with desired layout. It is also useful for printing information on detachable label sheets. In addition, this particular software is capable of importing your contact information directly from your window address book in windows XP, your window contacts in Vista. 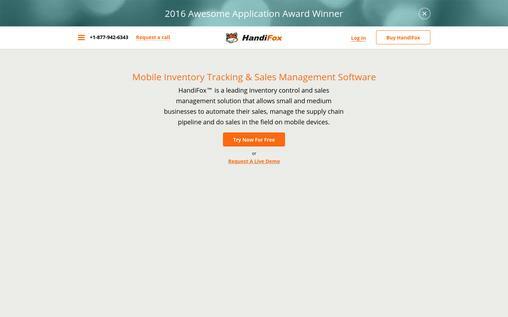 HandiFox is a sales management and mobile inventory management solution, which allow small and large businesses to easily automate sales and have a complete inventory control. It is available with different attractive features such as receiving and creating purchase order, scan barcodes, shipment verification, automated inventory counting. It works with sales transactions for different mobile devices. It is also available with additional user permission feature, which restrict users to make use of admin section. Using HandiFox, user can also immobilize back button on the user signature screen. 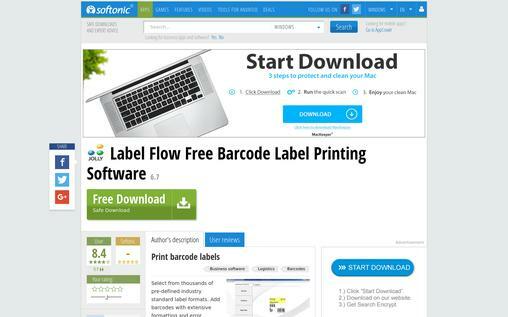 Label Flow is bar-coding software with help of which you can directly pull data from any other data source or execute barcode label, which is, printed directly from any web application or software. It is available with the variety of standard label formats such as 2D and 1D barcodes. With help of label Flow bar-coding software, you can easily pull information from any system print barcode labels or existing database directly from any existing applications link number of different prints to invest. 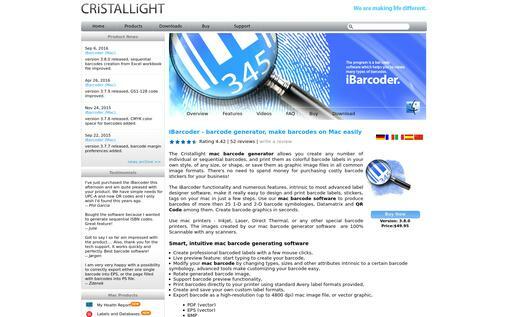 iBarcoder creates serial barcodes or single Mac barcode easily. Using iBarcoder, you can create any number of different colorful barcode labels in any size, style, or shape. iBarcoder allows you to create barcode graphics for books, retail packages, stickers, books etc. Using data matrix generator and Mac QR code, you can also add image boxes, text boxes, ovals, rectangles, as well as lines to your labels. Insert the desired images, type in the necessary text, for creating professional barcode labels for commercial use. You can also create sequential barcodes for retail and catalogs operations. 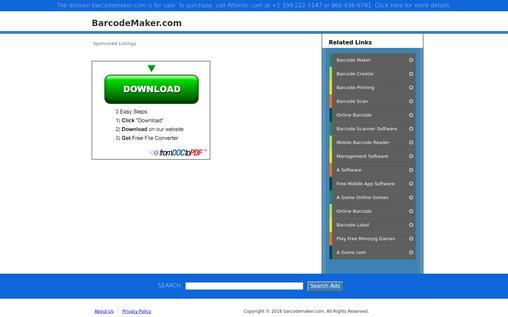 Barcode maker for MAC is professional sequential barcode generator software, which permits users to; easily generate barcodes in a fast and simple way. Distributors and retailers will surely find great utility in this particular application, which permits you to print and design your own specific barcode. It will also allow you to customize header and footer, your own asset tags. Another useful feature of Barcode maker for Mac is to easily stamp documents like PDF along with your own barcodes. It supports different type of barcode symbologies such as Code 39, DataMatrix, Code 128, EAN 128, UPC A, UPC code, UPC E, EAN 8, EAN 13, ISBN, Postnet, ISSN, FIM Codes, Codabar, Horizontal bars etc. 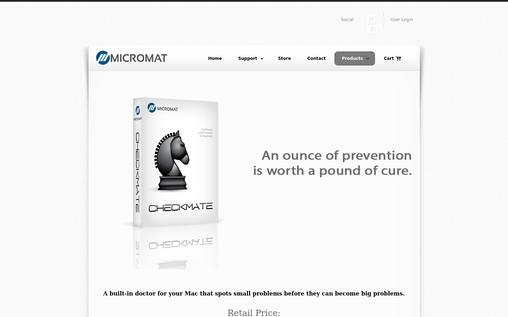 CheckMate is specialized bar code software for document tracking, inventory tracking, fixed asset tracking, job costing and tool tracking. Checkmate bar-coding software will help you to increase profit and reduce cost by effectively managing types of equipment and tools. It is one of the most user-friendly, affordable software application available in the market which is used by hundreds of industries including contracting, construction, restoration, manufacturing, energy, law enforcement, as well as United States Military. 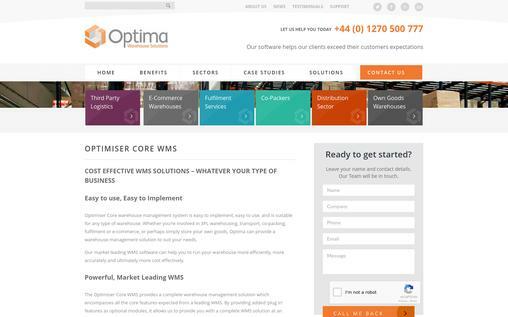 Optimiser WMS is an easy to use warehouse management software, which will help you to automate different processes, which will help you to make your warehouse run smoothly. Optimiser WMS is a Window-based stock control software, which will help you to easily manage space within the warehouse. It is easy to use and quick to implement. It is, built on tested platform optimizer Microsoft’s SQL, which is one of the fastest databases in the market, which will give you, fast data access facility. BarCloud Online Inventory is a complete barcode based inventory management as well as asset tracking system for easy web based inventory tracking. With help of this bar-coding software, you can organize essential data securely in the cloud. Availability of cross-device compatible mobile app will allow you to monitor inventory as well as assets online in real time. 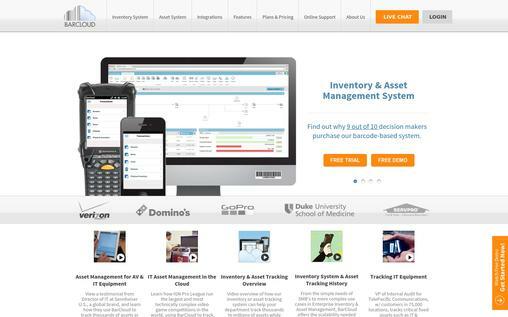 BarCloud online Inventory automation also reduces labor costs. It is available with data accuracy to increase revenues and accountability. Easy to implement, without, the complexity or cost of larger inventory tracking systems. Your success is your business and using 2P Barcode creator software, you can achieve your success. Using 2P Barcode creator, you can print and design barcode labels along with thermal and barcode printers. 2P Barcode Creator software support various data source options such as a counter file, time/date etc. 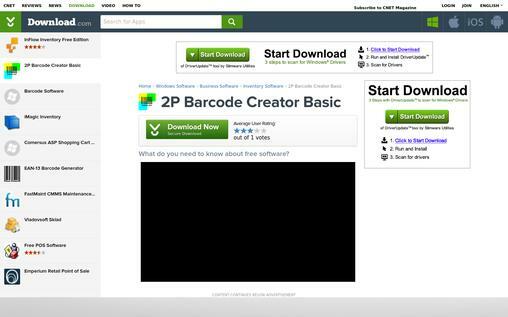 2P Barcode Creator is an easy-to-use and powerful barcode creator program, which will fulfill your business needs. It is one of the best 2p barcode creator software, will let you design the best label for your product. 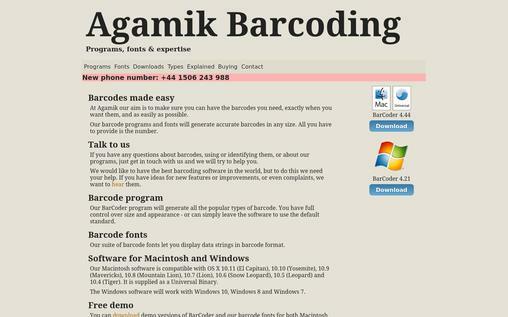 Agamik Barcoder is a barcoding software which is available with latest setup file which can be easily downloadable and is available with 7.1 MB in size. One of the most popular versions of this software is 4.2. It will provide you with full control over barcode size and color. It is also available with TIFF and EPSF for high-quality printing. Using, Agamik barcoding software, you can easily have barcodes when you need them without facing any kind of problem. Available fonts and barcode programs generate barcodes in any size. With the combination of some of the best features, you will have the best barcode label maker software’s, listed above for your small and large business, which will make your job convenient and easier. Barcode label software’s will surely help your small or large business to produce necessary, shipping, packing easily for improving the efficiency of your business. Using these above-mentioned software’s, you can easily print and design your own labels using the right application as well as customize those labels to your specification.